1. 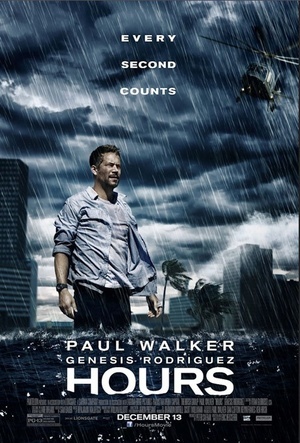 Hours is one of the final movies starring the late Paul Walker, who passed away over the weekend. 2. Walker was what you’d call a solid leading man type. 3. He’s best known for the Fast And The Furious movies, and had been filming the new one. 4. His best movies? We’re thinking gonzo crime thriller Running Scared (2006), scary trucker flick Joyride (2001) and the sublimely silly Fast 5 (2011). 5. Hours sees Walker trying to stretch a little. It’s a post-Katrina drama. Posted in Misc and tagged Broadsheet Trailer Park at 8:25 am on December 3, 2013 by DelBoy.